The alliance between Neville and TJP is seemingly becoming strained, but Perkins is looking strong after almost breaking the knee of Austin Aries last night on Raw. Perkins battles Lince Dorado tonight on 205 Live, meanwhile Aries might be out with his knee injured. Maybe Perkins is next in line for a title challenge, or perhaps he will prove to be a thorn in Neville’s side going forward. The long-running feud between Noam Dar and Rich Swann is seemingly set to conclude tonight when the two collide in one-on-one action. It’s unclear if Alicia Fox’s heart is still up for grabs in this angle but regardless, it will be nice to reach a conclusion and maybe see both guys move on to better things. Maybe 205 Live could do with another belt, to keep the non-title contenders busy. However that could just further dilute the brand. The only other announced match for tonight’s 205 Live is Mustafa Ali Vs. Drew Gulak. For several weeks now, Gulak has been parading around with his anti-air signs, and has targeted Mustafa Ali as the main culprit of the high-flying. It will be interesting to see the two styles conflict tonight and I am curious to see the campaign of Gulak continue. That’s the preview for tonight’s 205 Live! What are you excited to see? 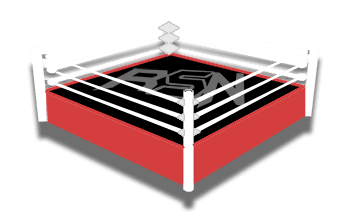 Let us know in the comments and be sure to check out the Ringside News app. Enjoy the show! Dinner with the King Recap – House of Horrors Match Disappoints, Working at WrestleMania, Relationship with Bret Hart/Taz, More!